As the principal advisor in Exceedia’s Private Wealth division, Jesse’s practice focuses primarily on helping families and business owners build financial road maps that address not only their financial wants and desires but also identify critical financial events that can occur along the way. What makes Jesse’s approach unique is her integrated process that incorporates one’s personal strategies with assets and income from their operating/holding company. While many business owners recognize the importance of planning, they are often too busy growing their business. As a result, miss potential planning opportunities. The focus of Jesse’s clients, amongst other things, is that they want to know their needs will be met and possible risks mitigated. A strong believer that true financial planning cannot occur in the absence of a trusting relationship, many of Jesse’s clients have been to her home and met her children. Most client appointments with Jesse finish with a big hug and it is not unusual for clients to shed a tear or two during emotional meetings. Growing up in an entrepreneurial family has afforded Bal Sidhu the opportunity to have a multi-faceted understanding of business and family dynamics. Bal has several years of experience training businesses and employees in personal development. A thought leader, as well as a motivational speaker, Bal can help you improve organizational culture through executive workshops on mindset, leadership and communication. The next generation of successful business owners is seeking both financial as well as personal fulfillment. Bal’s principal role is to help you develop a guiding principle for your business while maneuvering through each critical stage of both your professional and personal life. As your business transitions from growth to maturity, Bal will ensure your financial roadmap includes a succession plan that will protect your legacy. 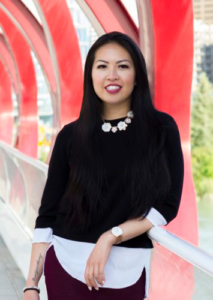 The primary focus of Caylie Szeto’s practice is supporting the growing community of highly successful female entrepreneurs in the beauty industry. The unique needs of these clients require an advisor who not understands the cyclical nature of the business, but one who can forecast and anticipate the rapid growth of their business in a short period of time. Caylie’s practice has always centred on protecting income for young professionals and women entrepreneurs as they embark on their financial journey for the first time. As the economic landscape continues to change, young professionals will have several career changes through their lifetime and Caylie will be there to help you each step of the way. Russell Scantlebury understands first-hand the trials of caring for aging parents while taking care of your own family. We’re living longer than ever before, thanks to incredible advances in science and medicine, and as a result, the sandwich generation (those caring for children and parents simultaneously) are concerned not only with preparing for retirement, but also managing their parents’ finances as well. The result is a wave of seniors uprooting and relocating after retirement to live, once again, near their children. In some cases, the senior child is struggling with his or her own health issues and financial issues, further complicating the dynamics and creating a greater risk for caregiver burnout – on both sides of the equation.Russell is passionate about helping families maneuver through the early stages initiating the discussion with their parents, followed by implementing strategies to minimize the financial impact of illness, long term care, widowhood and the eventuality of settling an estate. You can be sure that you will not be alone during those difficult transitions. 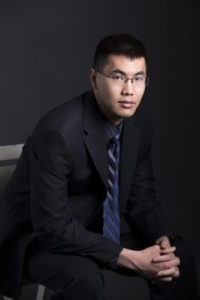 Jonathan Mah is a member of the financial planning team and works under the direction of a senior financial planner preparing and constructing plans outlined by the financial planner. Financial plans get regularly updated as your situation changes; Jonathan helps gather new information and provide the senior planners with updated projections to ensure your financial plan is always relevant to your life circumstances. Businesses understand the complexities of running a business are often weighed down with the responsibilities of bookkeeping and accounting. 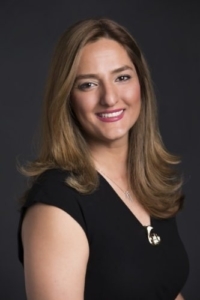 With over a decade of experience and passion for attention to detail, Mahsa Gharavi ensures our self-employed business owners keep CRA (Canada Revenue Agency) compliant records. To demonstrate her ongoing commitment to provide our clients with the highest standards of service, Mahsa is pursuing her CPA (Chartered Professional Account) designation. Sr. Vice President, Customplan Financial Advisors Inc.
Micheline Varas provides our business owner and high net worth clients with creative, cost and tax-effective expertise. Beginning her career in the Financial Services Industry over 25 years ago, she has developed a solid reputation working in conjunction with several insurers and their respective underwriters. She is a consulting resource for our private wealth clients, large institutions and corporations on executive compensation and pension maximization planning. Her extensive experience in the areas of Income Replacement, Critical Illness, Long Term Care Insurance enabled her to be the first Canadian recipient of the GBDS (Group Benefits Disability Specialist) designation. A current Top of the Table (MDRT) member, she has numerous industry and non-industry publications, holds various training and educational events and has been a speaker at international congresses. Micheline is one of the founding moderators for the Canadian Initiative for Elder Planning Studies and was also named one of 50 Women of Influence in Canada’s insurance industry. With continuous CRA (Canada Revenue Agency) changes, business owners have had to revise their financial planning so not to face large tax liabilities. With Micheline’s assistance, we can help our private wealth clients access retained earnings in a tax-effective manner, while mitigating risk in the event of an unforeseen event. With a background in banking, finance, sales and marketing as well as oil and gas, Caezar Simon’s diverse experience allows him to not only understand the needs of a business, he can also visualize the day to day operations and thoroughly assess potential exposure to risks. For our commercial real estate clients, Caezar protects their strip malls, apartment and condo buildings, commercial and industrial properties from the risk of physical damage, as well as potential liabilities that could arise from the use of their facilities. As a business owner, we expose ourselves to many different risks – not only financial risks, but also legal risks. Caezar works with our business owners to help identify the areas that are most vulnerable – from protecting accounts receivables for large projects (bonds, trade credit line insurance) to professional liability coverage (errors and omissions), he will protect what you have worked hard to build so you can get back to the business of business. Nader Ben Aissa provides our firm with expertise in corporate law. He acts as corporate and commercial legal counsel for owner-managed businesses in a variety of sectors, including agriculture, tech, oil and gas, construction and hospitality. In 2018, Nader joined Brent Hooey to establish Hooey and Company Law. Nader provides representation in a wide range of sophisticated and routine transactions for our corporate and shareholder clients, including contractual negotiations and drafting; start-up ventures, financing and private placement investments (equity and debt); acquisition, mergers and sales of businesses; commercial real estate acquisitions, sales and leasing. Predrag Tomic provides our clients with wills and estate litigation expertise for matters involving complex estate and trust disputes and guides families through the probate and estate administration process. Witnessing firsthand the financial and legal consequences of either lack of planning, or poorly created estate plans, Peter helps our clients clearly address their wishes while ensuring they understand the responsibilities they are delegating when they designate an executor. Peter has presented on estate topics for the Legal Education Society of Alberta and CPLED and frequently teaches adult education courses about estate planning and executor duties. He is currently a Trust and Estate Practitioner through the Society of Trust and Estate Practitioners.